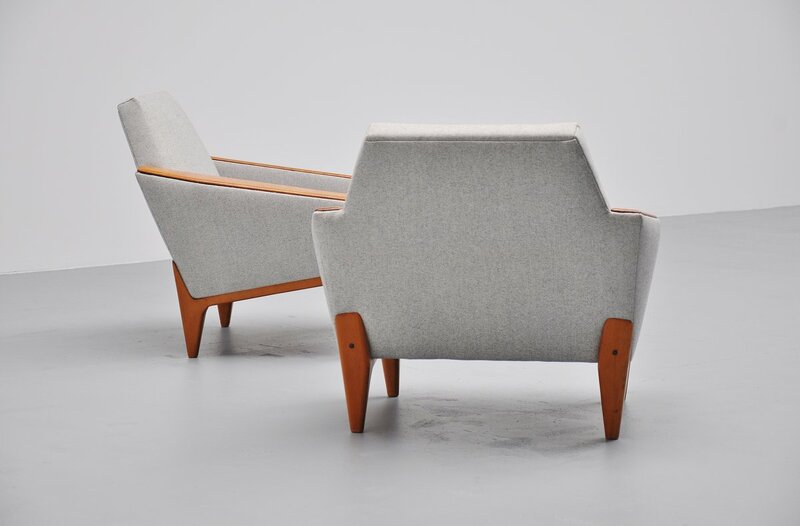 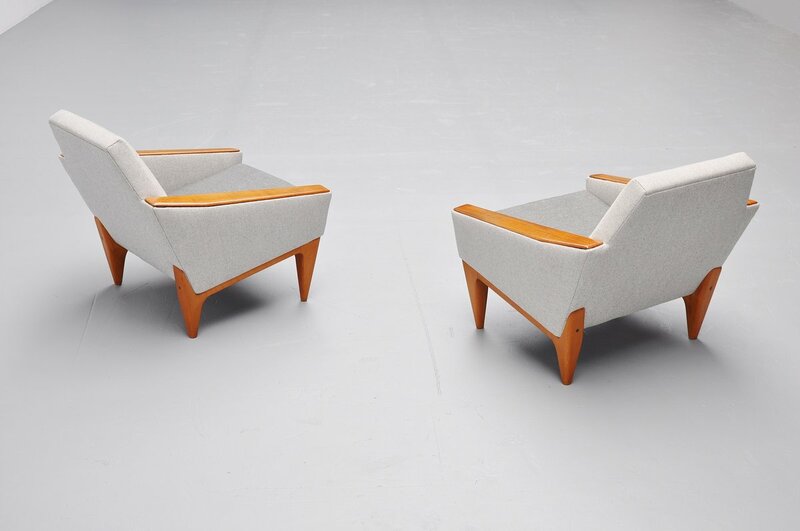 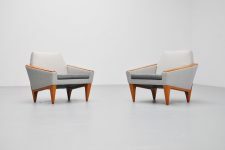 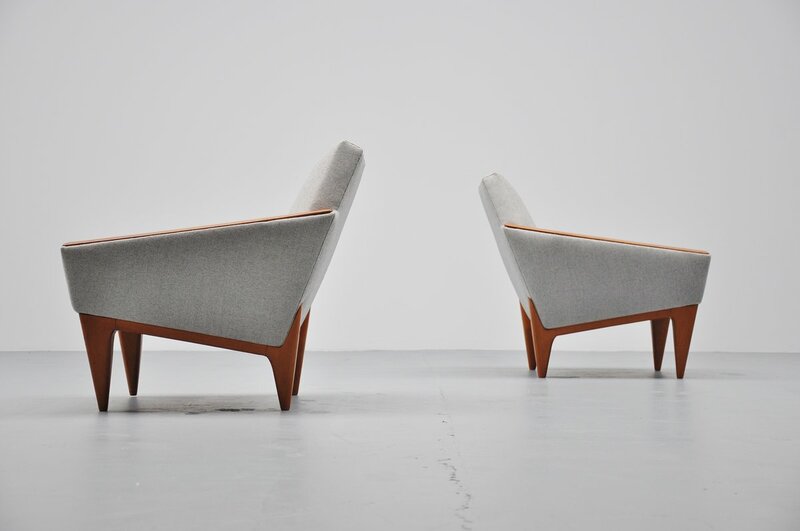 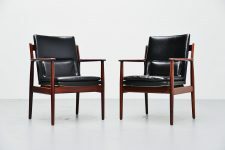 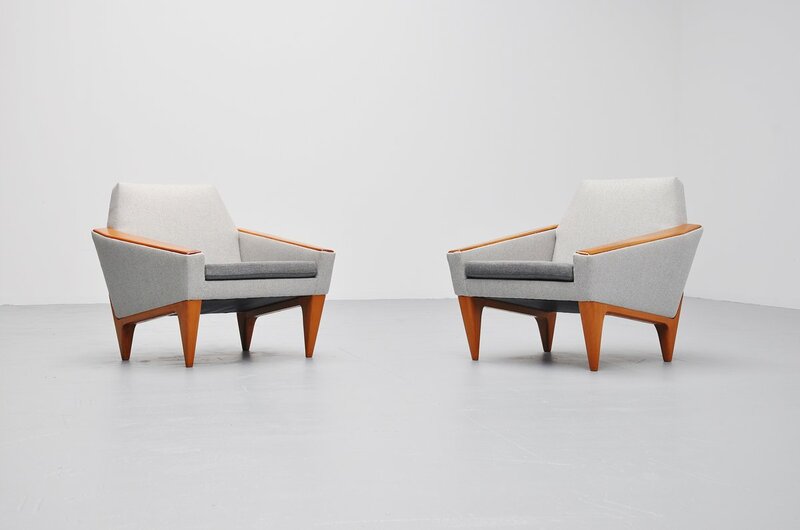 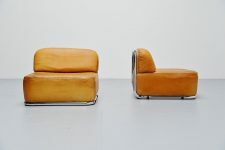 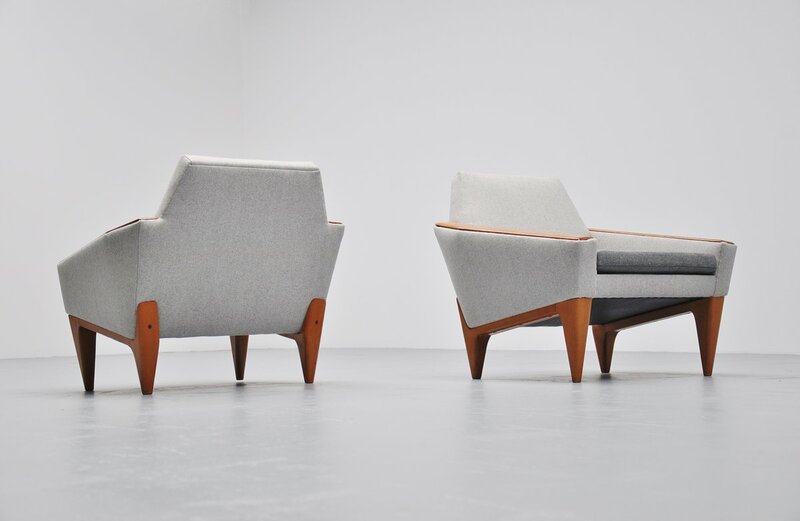 Amazing pair of club chairs made by unknown maker or manufacturer, Danish for sure. 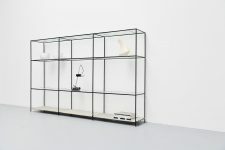 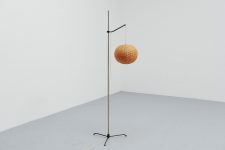 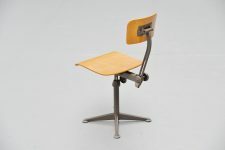 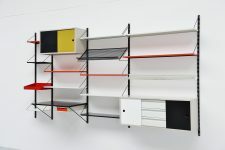 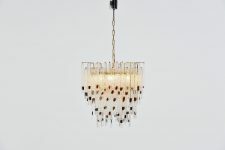 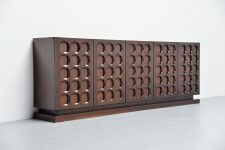 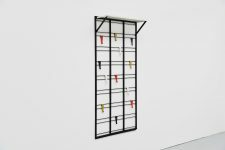 Made ca 1960. 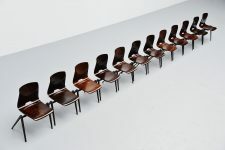 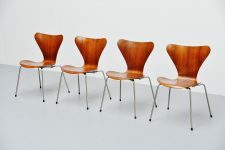 These superbly shaped chairs have solid birch leggs and teak arm rests. 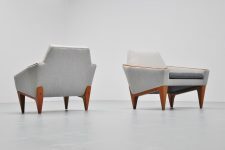 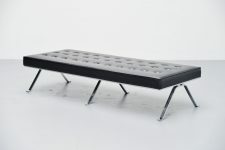 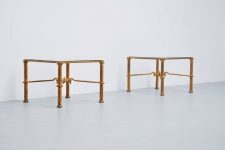 They are newly upholstered in very nice two tone grey fabric with authentic look. 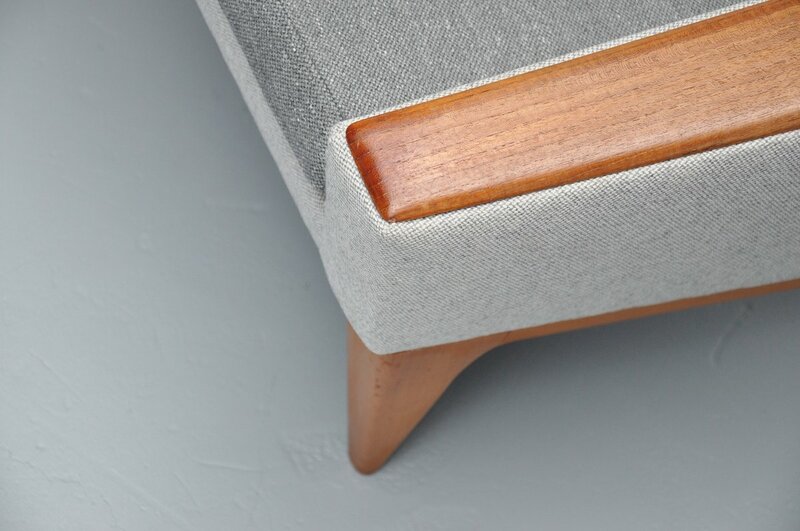 This fabric is half wool half synthetic and was about the same fabric there was originally on it. 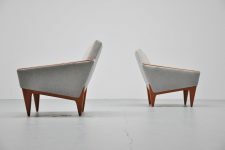 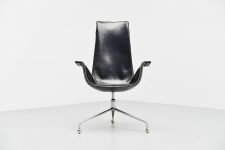 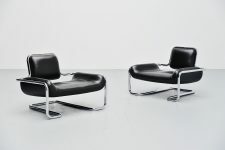 These are probably one of the nicest Danish easy chairs I have seen in its kind, subtle, dynamic and comfortable designed.